Advent of the social networking platform helped to enhance communication between the people and business. World has become a smaller place thanks to face book and twitter where people can meet their friends and colleagues both old and new. They can post their thoughts, chat or even play games. In short, it is a virtual world of entertainment and information for the users and is difficult to imagine life without the presence of social media sites as they provide multiple benefits to the users. Social network offers integrated meeting platform for the visitors offering more options in terms of time and place. Individuals can communicate through message applications via video and voice. Virtual collaboration has replaced physical collaboration providing maximum effectiveness to the users. They do not need to travel to distant places for conducting the meeting. Contacting families and friends had never been as easy as it is now with the arrival of the social media platforms. Calling and emailing them are old methods that do not stand chance against the opportunities provided by social media. Sharing photos, images and videos on face book is different from talking over the phone. Irrespective of the location, it is possible to remain connected with friends round the clock. Professional networking between individuals and business on social media has helped companies to increase their customer base. Overnight they have built the brand value of their products and services. Professionals connect with their colleagues also find clients to get more projects. 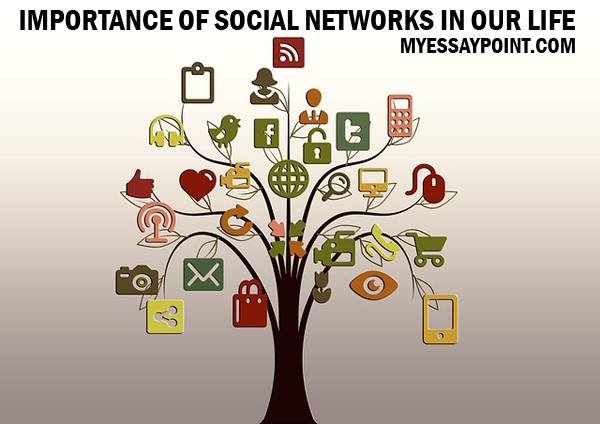 Social networking sites assist business in identifying the target audiences based on the demography or location. Majority of the sites have special tools that could help to ascertain the quality of traffic. Potential customers can be categorized into language, age and gender making targeting easy and effective. Twitter and face book allow small companies to explore new customers in their area and beyond. For instance, if you are launching a new restaurant, interact with the foodies through twitter and invite them to have sumptuous lunch. Majority of political leaders are switching on to social media to connect with their supporter and make new ones. Social media has facilitated communication among the managers and executives to collaborate on the projects. Gone are the days when people waited for news papers to be delivered at home or watched television. Now days, they get connected to the social media and instantly get news feedback from the news channels while moving from one place to another. People can collaborate with each other to highlight the social causes affecting the society through social media. It is a powerful platform to create opinion that attracts the attention of the business and authorities towards the problem. Younger generation has learnt a lot from social networking because it helps in developing their communication skills and also teaches them to work within a group. They can also create social norms and hone their skills while operating within the community. 1. Decreased productivity: Many people use social networking sites in office time, hence it decreases the productivity. That’s why many working places have banned Facebook and other social networking websites at their place. 2. Cyber bullying: Kids get bullied on social networks. 3. Privacy: These social networks mess up with your privacy a lot. 4. Not really social: While the real aim of these social networking sites is to connect people, sometimes they really don’t. People don’t talk to people they are sitting with, instead keep on checking their Facebook. Does it really makes us social? i think social networking is platform where one individual share , communicate, their idea friendship with other . I think that social media is a platform where you can do whatever you want,we can learn alot of things here by you tube like -dance ,painting,cooking etc.we can connect with our friends,even we are not same country,and very special thing that we can earn money here,we can promote our business or any political party here,we can do study here free of cost,we can share our experiences ,and if we have any doubts about any subject we can get advices here .so its very helpful for our life to make easy. Ich denke, dass Social Media ist eine Plattform, wo Sie tun können, was Sie wollen, können wir lernen, eine Menge Dinge hier von Ihnen Rohr wie -Tanz, Malerei, Kochen etc. Wir können mit unseren Freunden zu verbinden, auch wir sind nicht das gleiche Land, und Ganz besonderes Ding, dass wir hier Geld verdienen können, wir können unser Geschäft oder jede politische Partei hier fördern, wir können hier kostenlos arbeiten, wir können unsere Erfahrungen teilen, und wenn wir irgendwelche Zweifel an jedem Thema haben, können wir hier Ratschläge bekommen .so ist es sehr hilfreich für unser Leben, um es einfach zu machen.